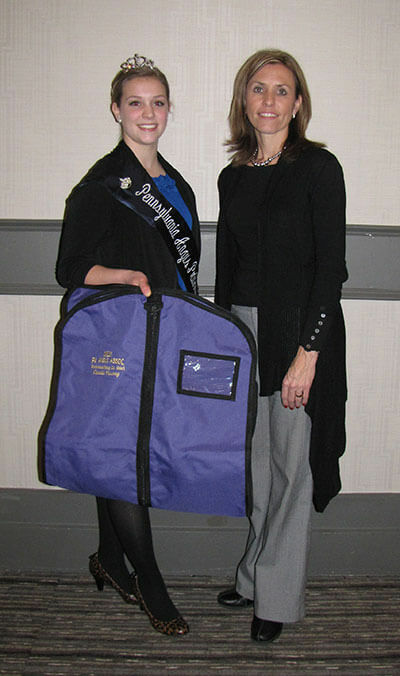 Awarded the 2013 Outstanding Girl award from the Pennsylvania Angus Association is Claudia Hissong, Greencastle, PA, presenting the award is advisor Lori Voight. 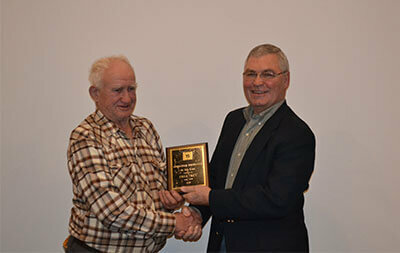 Fred Frey, Quarryville, PA was named 2013 Seedstock Producer of the Year at the 2014 Pennsylvania Angus Association Annual Meeting and Banquet, Jan. 5 in Harrisburg, PA. Pictured presenting the award is Erskine Cash, Pennsylvania Angus Association vice-president, right, Fred Frey, Breeder, left. 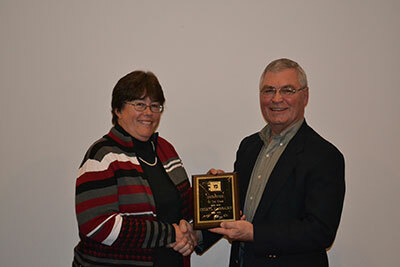 Cheryl Fairbairn, Coatsville, PA., was named 2013 Promoter of the Year at the 2014 Pennsylvania Angus Association Annual Meeting and Banquet, Jan. 5 in Harrisburg, PA. Pictured presenting the award is Erskine Cash Pennsylvania Angus Association Vice-President, right, Cheryl Fairbairn, Coatsville, PA, left. 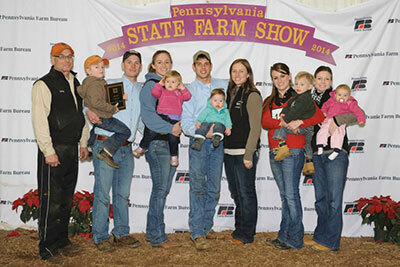 Beaver Creek Angus, Thomasville, PA was named the 2013 Pennsylvania Angus Association's breeder of the year at the PA State Farm Show. 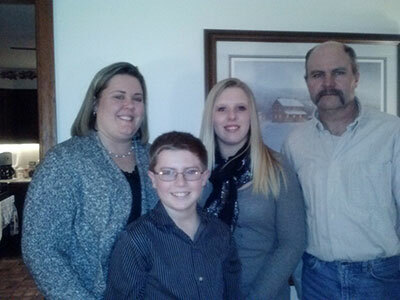 The Myers Family from Wellsville, PA was awarded the 2013 Family of the Year award, pictured left to right is Theresa Myers, Clay Myers, Kayce Myers, and Brad Myers. 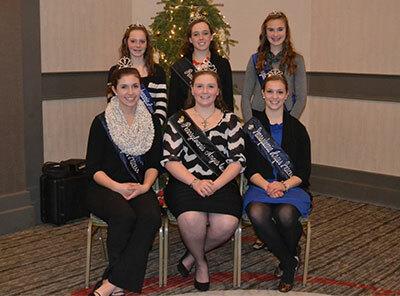 Front row from left: Brad Bishard, York, treasurer; Wendall Landis, PA Furnace, vice-president; Gene Trowbridge, Meshoppen, president; Jamie Brozman, Nazareth, secretary. 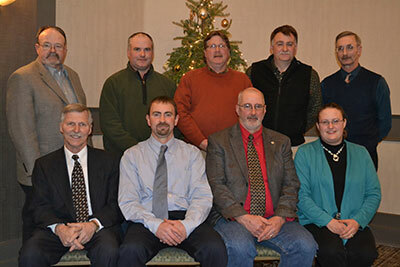 Back row from left: Keith Rooker, Uniontown, director; Fritz Frey, Drumore, director; Steve Upperman, Chambersburg, director; Dale Rains, Mercer, director; Tim Spangler, Boswell, director.